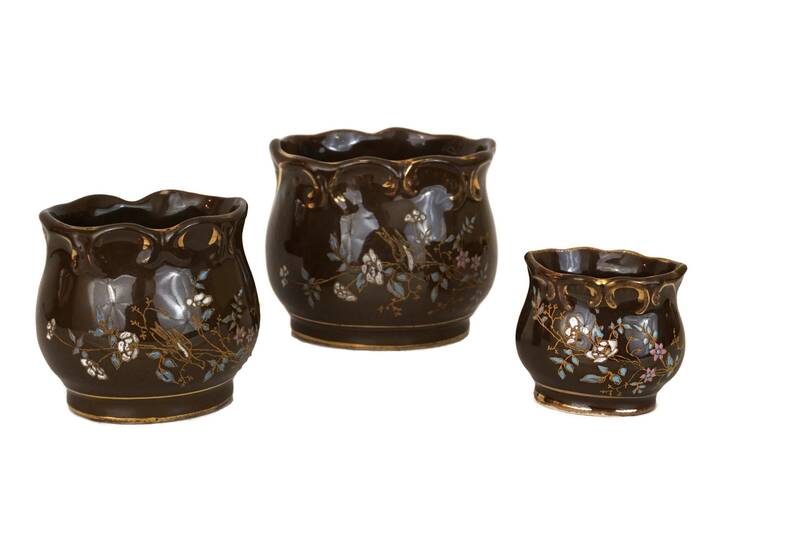 An elegant French antique porcelain tobacco set manufactured in the 1910s. 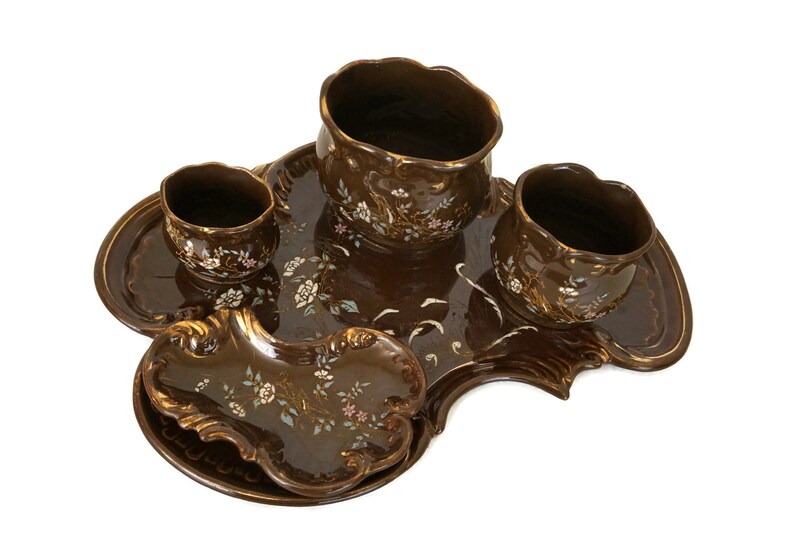 The set was originally used by smokers to hold tobacco and cigarettes. 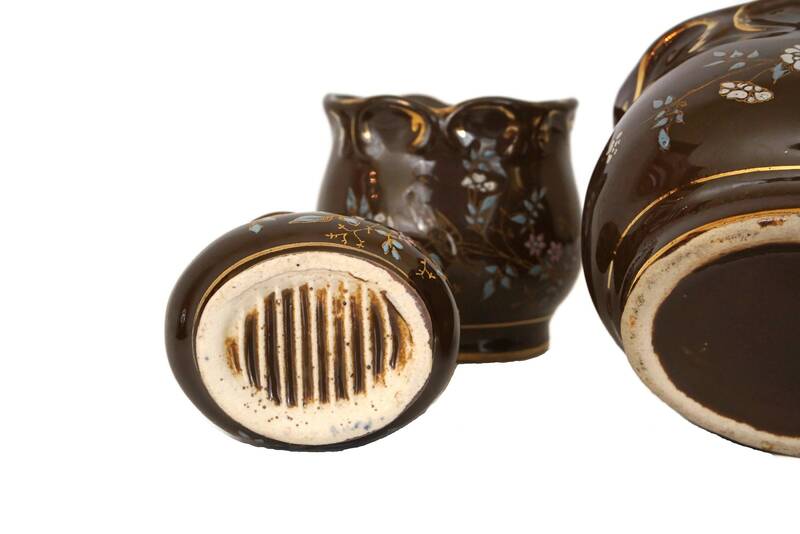 It will also make a unique vanity decor as the pieces can be used as a make up brush holder, Q tip jar and ring dish with matching tray. 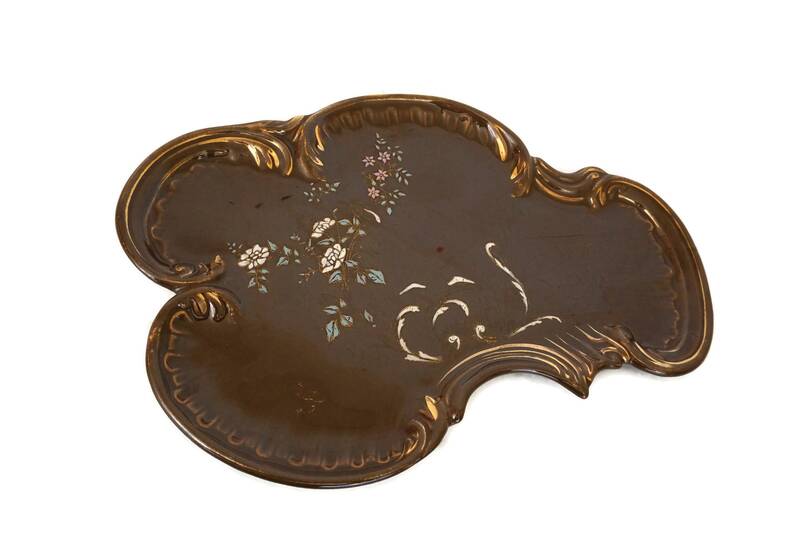 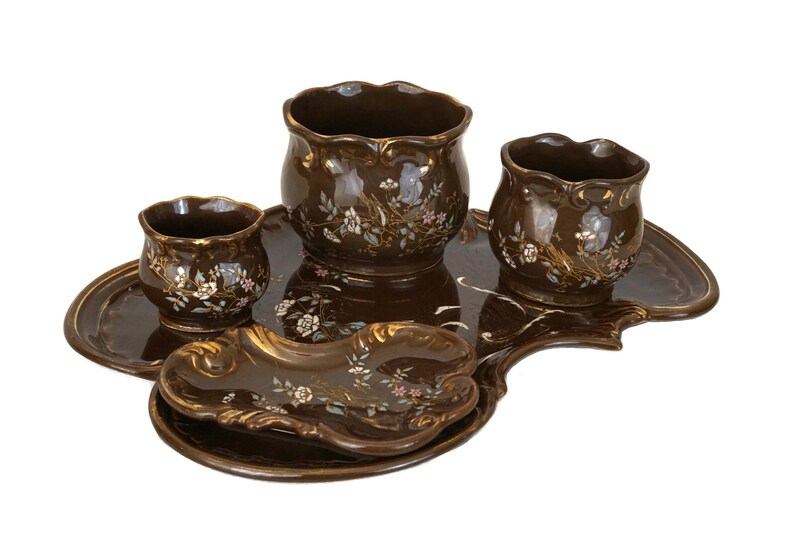 The set has an ornate design and has been the ceramic has been glazed in a dark shade of brown. 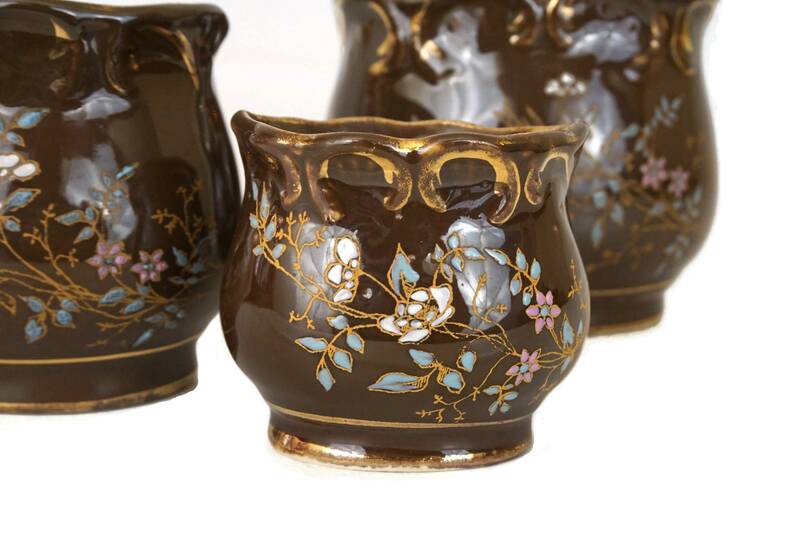 The canisters and trays have been hand painted with beautiful flower patterns in blue, white and pink and feature gold accents. 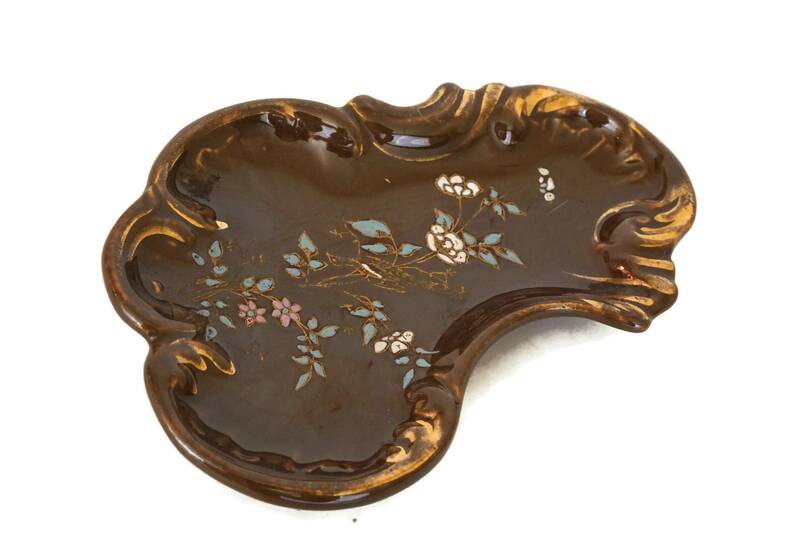 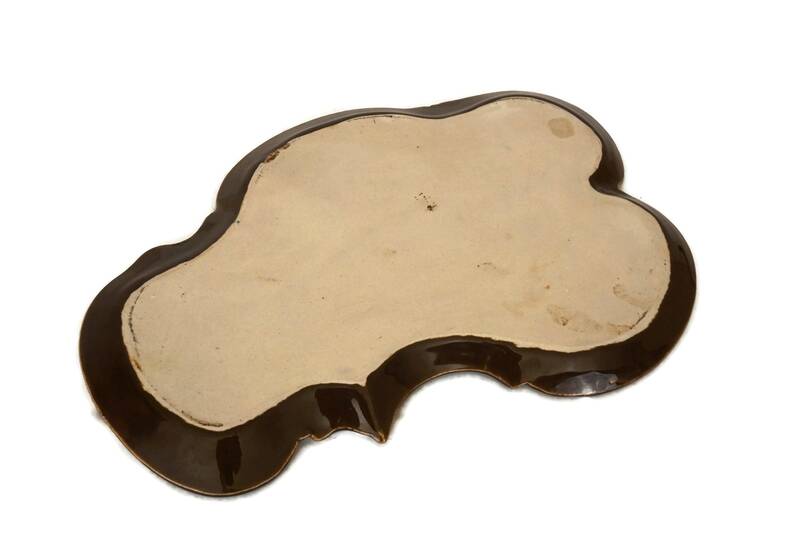 The small dish: 5" Long x 3" Wide (13 cm x 8 cm). 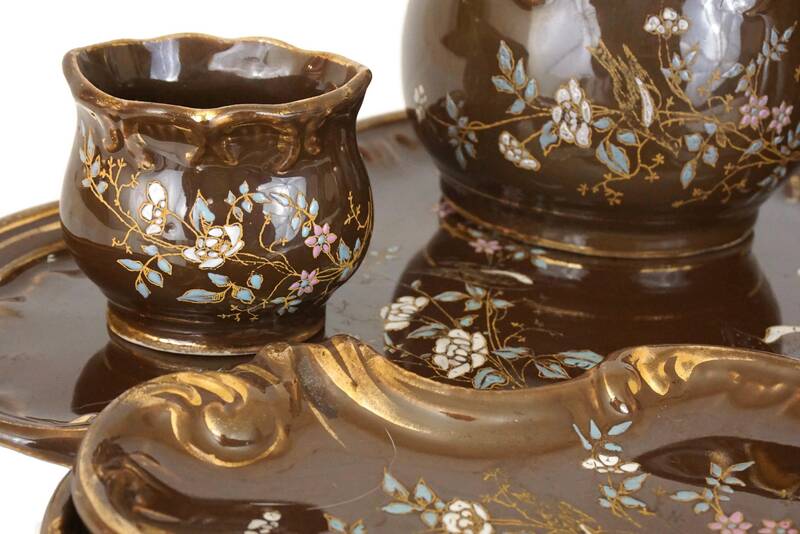 The set is in very good condition with no chips or cracks. 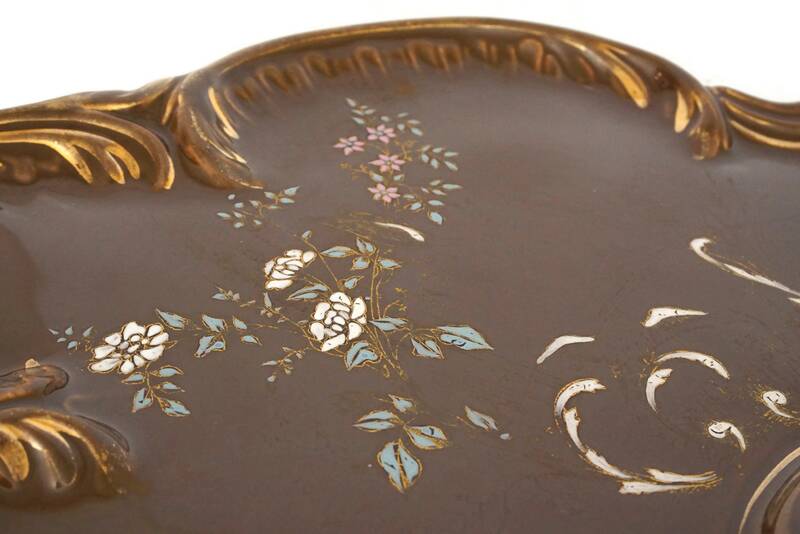 There are some rubbing to the gold highlights in places.